Hotel Porta Nova is a luxuriously modern 4-star Hotel centrally located in Tavia, known for its culture and history. The Hotel boasts 137 superbly elegant rooms inc. single, twin and double. 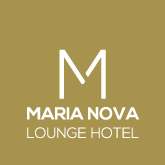 Maria Nova Lounge Hotel is a luxuriously modern 4-star Hotel centrally located in Tavira, known for its culture and history. The Hotel boasts 137 superbly elegant rooms inc. single, twin and double. There are numerous special features of the Maria Nova Lounge Hotel inc. internet access, meeting rooms, outdoor pool, terrace restaurant, several bars, among others. Maria Nova Lounge Hotel offers 137 comfortable, modern and fully furnished rooms. Each room has a scenic balcony as standard. Some of the additional in-room facilities inc. Air Conditioning, Minibar, Satellite TV, Piper Music, Direct-dial telephone, Safe and Bathroom. Rooms have opening windows that guests may open and Housekeeping is available every day.